The Samsung-Apple lawsuit in Australia has finally come to an end, folks, and it’s a pretty bittersweet ending, to be sure. Details after the jump! The latest (and perhaps final) update on the Samsung-Apple lawsuit in Australia comes from Herald Sun – an Australia daily newspaper – in the form of a report on their official website in which they discussed the High Court’s final decision. The decision, as you may have learned from the post heading, goes in favor of Samsung. The three-judge panel at the High Court in Sydney brushed aside Apple’s appeal to overturn the ban on sales of Samsung’s Android 3.x Honeycomb-based Galaxy Tab 10.1 tablet. This means that Samsung’s controversial tablet will be available across Australia before Christmas. SAMSUNG can now release its Galaxy Tab 10.1 in Australia after Apple’s application for special leave to appeal was dismissed in the High Court. A spokeswoman for Samsung confirmed the tablet will be launched in Australia in time for Christmas following the High Court decision in Sydney. The ban on the Galaxy Tab 10.1 in Australia came into action back in mid-October when the Federal Court granted the sales-blocking injunction to Apple on basis of two patents related to touchscreen and multi-touch technology which Samsung’s tablet infringed upon. 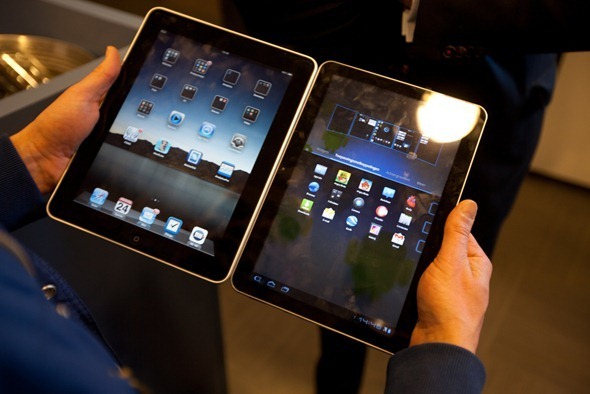 Samsung offered to modify multi-touch in their Galaxy Tab 10.1 but Apple refused the offer. The Federal Court later reversed its decision and then extended the ban by one week. That week passed today and the Galaxy Tab 10.1 can now be sold in Australia. While Samsung has indeed “won” the case, the damage has been done. The Galaxy Tab 10.1, which was once treated as the hottest Android Honeycomb tablet because of its great performance and smart looks, has lost the limelight to ASUS’ Transformer Prime, which is also a Android Honeycomb-based tablet, but comes with a much more powerful quad-core Tegra 3 chip which offers, at least on paper, three times the performance of the Tegra 2 chip that powers the Galaxy Tab 10.1. The Galaxy Tab 10.1 will be available for $579 and $729 for the WiFi and WiFi+3G models respectively in Australia “in time for Christmas”. Samsung’s spokeperson did not specify the internal storage capacity of the above-mentioned models.